The lawyer for former Nazi interpreter Helmut Oberlander says they will appeal a decision by a Federal Court judge that strips the Waterloo, Ont., man of his citizenship. 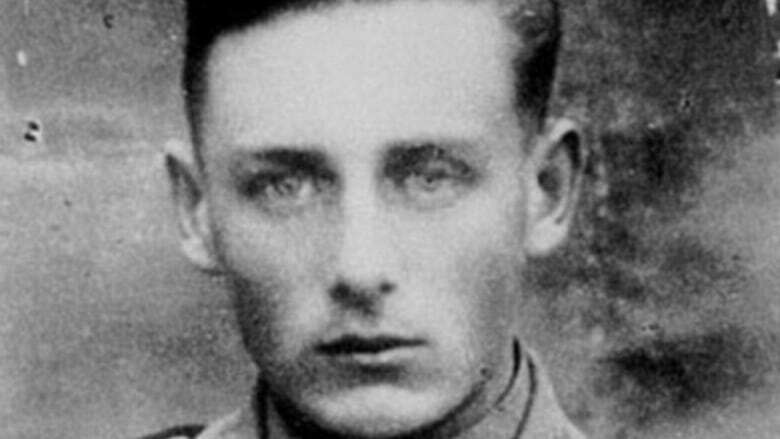 Former Nazi interpreter Helmut Oberlander will appeal the decision by a Federal Court judge that strips him of his citizenship, his lawyer says. Oberlander, 94, of Waterloo, Ont., was disappointed with the ruling Thursday that dismissed his appeal of a federal government decision to revoke his citizenship, his lawyer Ronald Poulton said Friday. "He's disappointed, obviously. He wants his name, reputation and his family exonerated and unfortunately he's going to have to wait a little bit longer it seems," Poulton said. They will now be seeking certification of questions from the trial decision judge. "Once we have those questions, we can then proceed to appeal the decision to the Federal Court of Appeal," Poulton said. "We're working on trying to convince that judge to certify questions, which means he identifies issues that the Court of Appeal should consider and deal with." Oberlander was born in Halbstadt, Ukraine in 1924, and was put into service by the Nazis when he was 17, during Germany's occupation. Oberlander was an interpreter for the Einsatzkommandos, which has been described as a group of killing squads that targeted Jewish people in the former Soviet Union during the Second World War. Oberlander is not accused of taking part in any executions. Oberlander has said previously he was forced into service and he never subscribed to Nazi ideology. He did not disclose his wartime activities to security officials when he came to Canada in 1954 as a permanent resident or when he gained citizenship in 1960. The federal government has stripped Oberlander of his citizenship four times. Oberlander has successfully appealed the decision three times. In a Federal Court ruling released Thursday, Justice Michael Phelan wrote the government's decision to revoke Oberlander's citizenship was "reasonable." "Had Oberlander answered the security officer's questions truthfully by including his service as an interpreter with [the Einsatzkommandos], his application would have been rejected on security grounds," the ruling said. The new ruling notes during his time in Canada, Oberlander has lived in the Waterloo region "and is reputed to have made a significant contribution to the local community." Oberlander is a retired developer and owned Oberlander Construction Ltd.
"Oberlander's life since arriving in Canada has been beyond reproach," the ruling said. "He is in his 90s with significant health issues." Michael Mostyn, CEO of B'nai Brith Canada which was an intervener in the case, applauded the Federal Court ruling. "There can never be a statute of limitations on matters as grave as this and Canada is being watched by the world right now on how we deal with those who were involved in very deep ways in the Holocaust," Mostyn said.